Turn your love of Cricket into success with English! 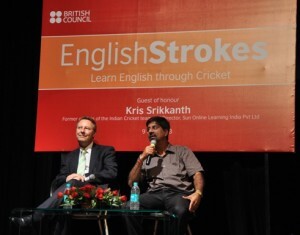 Posted in General and tagged British Council, Cricket, English, EnglishStrokes, Kris Srikkanth, Learn English, Rob Lynes on May 14, 2013 by British Council India. 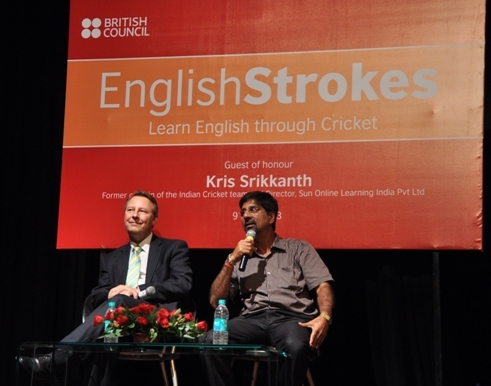 British Council and Kris Srikkanth together on 9 May 2013 launched EnglishStrokes, an online course that helps you improve your English by exploring South Asia’s favourite sport, cricket. If you want to broaden your horizons, work in an international company, study abroad or just use the internet, then English is the key. The objective of EnglishStrokes is to enhance employment potential and lifestyle aspiration of young people by providing access to quality English language learning opportunities. As a result, they develop their confidence, accuracy, fluency and communicative ability. 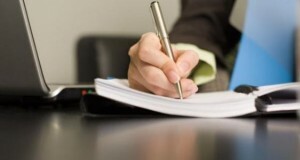 The aim is to provide an online English language course which is engaging and delivers supplementary learning. You will find listening activities, video content, games, conversations, cricketing facts, fun tasks and language exercises. You can also listen to anecdotes from some of your favourite cricket players, learn more about their profiles and watch them in action! This site gives you the confidence and skills you need to communicate effectively in English and help you achieve your goals and dreams!